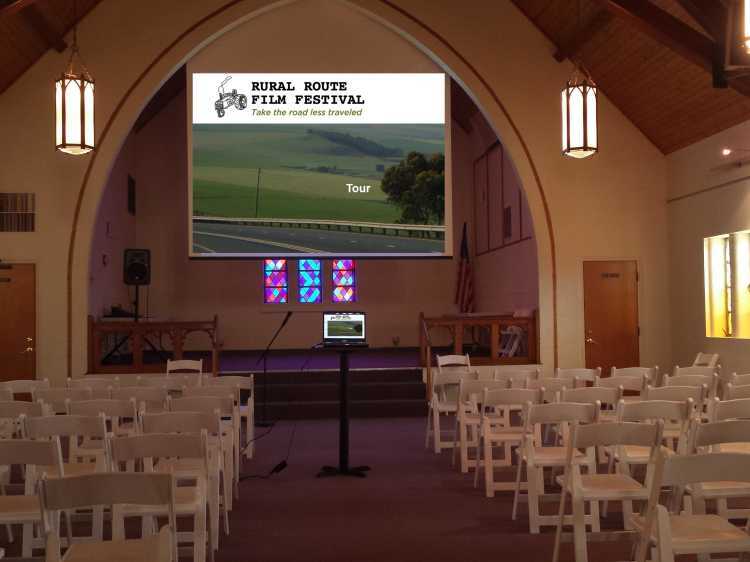 The Rural Route Film Festival Tour will take place at the Art Sanctuary, located on Sycamore and Pike Streets in downtown Martinsville, just a bit off the historic courthouse square. The annual international film festival features stories from the heart of humanity around the world. Highlighting works that deal with unique people and places outside the bustle of the city, enjoying the Rural Route Film Festival is like choosing the road less traveled and learning something new with each short film. The film festival&apos;s mission is to screen work about rare people and cultures normally overlooked by mainstream media. he content consists of top quality, cutting edge contemporary and archival work from sources both local and far, far away. Once the film festival, based in New York City, is complete, the very best of each year&apos;s films go on tour! Martinsville is proud to host this year&apos;s festival tour, featuring nine short films from around the world with three screenings on July 15 and 16. See our calendar event for a complete list of short films featured in this year&apos;s tour, including specific descriptions. Highlights include films from the Netherlands, Hungary, Iceland, Georgia (the one in Eastern Europe), Maine, Iowa, New York and Illinois. You&apos;ll learn about the loss of seed diversity in agriculture, hand-harvesting scallops from the ocean floor, tales from a mining family, starling murmurations, love, life and death in this eclectic mix of films from a variety of directors - one of which is an Academy-shortlisted animator! There will be refreshments on site provided by Crazy Horse Bloomington, and tickets are only $5 per person. There will be three screenings - 4 pm and 7 pm on Saturday, July 15 and a Family Day screening at 4 pm on Sunday, July 16, when kids under 12 are admitted free with a paid adult admission. While you&apos;re in the mindset to appreciate route routes, be sure to pick up a guidebook for this year&apos;s Rural Routes to Main Street Cultural Trail! The trail highlights locally owned restaurants, unique shops and talented artisans throughout Morgan, Hendricks and Putnam Counties in Indiana. Make a weekend of exploring the rural routes of Central Indiana, or take the guidebook home to plan a future excursion!